If Your Question Has the Word Music in It, Call Us! JVMUSIC.Net: In this catalog you will find many of Jari Villanueva’s arrangements for ensembles. Our music is in PDF format. Once you select the arrangement(s) you wish to purchase, simply pay with PayPal or a credit card and the music is dowloaded immediately. Any items requiring mailing will be shipped within 5 business days. JV Music: If Your Question Has the Word Music in It, Call Us! Welcome to the JV Music home page! Our slogan, “If Your Question Has the Word Music in It, Call Us,” pretty much sums up what we do. Thanks very much for stopping by at our updated website! 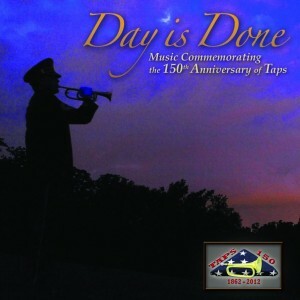 In commemoration of the 150th Anniversary of America’s most famous bugle call TAPS 150 released a very special CD recording featuring over 15 orchestrations of Taps along with performances of Taps and other Civil War bugle calls. The fully-produced full-length CD contains 33 musical tracks and comes with a beautiful 24-page booklet of program notes and photos of buglers from the Civil War to the present day. Trumpet and bugle soloists include Mike Bogart Kevin Burns Woodrow English Wayne Naus George Rabbai Jari Villanueva and Walter White. Copyright © 2019 JV Music . All Rights Reserved.